Collegedunia is an education portal, matching students with best colleges in India abroad. We help in college research, exam prep tips, application process & also provide insights on campus life. Launched in 2014, we are the highest ranked portal by SimilarWeb in education. We have also been awarded as Best Educational Portal by IAMAI in 2017, and listed by TechinAsia as - Top 100 Startups in Asia. Collegedunia is fuelled by energy of over 280 individuals having average age around 25 years. The talent pool comprises data analysts, engineers, designers, writers, managers marketers, which is increasing at 10% every month. - Knowledge in React native and Redux. - Excellent knowledge on mobile app development cycle, design principles. - Hands on Coding/Debugging Android and iOS apps using simulators. - Experience in working with remote data via REST and JSON. - Familiarity with cloud message API and push notifications. - Experience with android-sdk is a plus. Education Qualification : Full time - BTech, MCA or M Tech. 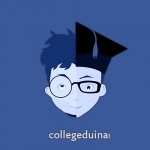 Manager, Human Resources at Collegedunia Web Pvt. Ltd.